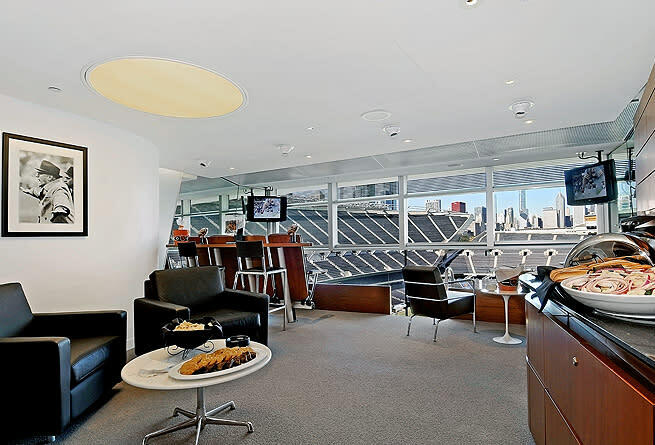 Impress corporate clients with a VIP suite at one of Chicago’s biggest venues. Looking to impress an important corporate group in Chicago? Book a VIP suite at one of Chicago’s largest venues that play host to everything from sporting events to the hottest concerts. Whether you’re planning an after-hours outing or a mix of business and pleasure, these Chicago VIP suites deliver big time. Baseball is king from spring through summer in Chicago. And there’s no better place to experience an old-fashioned baseball game than during a Chicago Cubs matchup at historic Wrigley Field. For a VIP experience, reserve the Fannie May Bleacher Sweet, Wrigley Field’s largest luxury suite. Located in center field with access to the legendary Budweiser Bleachers (a favorite seating spot for die-hard Cubs fans), the temperature-controlled suite can accommodate 70-100 guests, and includes a food-and-beverage package of ballpark eats. Wrigley Field also hosts summertime concerts, with past performers including Billy Joel, James Taylor and Jimmy Buffett. See Chicago’s other favorite baseball team, the Chicago White Sox, play at their home in the South Side Guaranteed Rate Field. Reserve the newest private party space, Suite 134. Located behind home plate on the main concourse, Suite 134 accommodates 25 guests and comes with a dedicated suite attendant. The standard food package includes Chicago favorites, such as hot dogs, Italian beef, and popcorn. 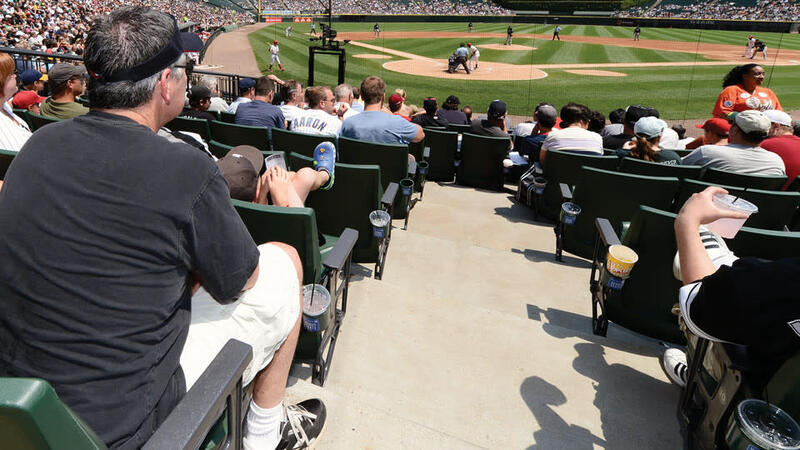 Or take the party outside and reserve Magellan Scout Seats directly behind home plate. Your guests will enjoy a premium Levy Restaurants buffet, an open bar, in-seat food and beverage service, and access to a climate-controlled private lounge with flat-screen TVs. Besides hosting big-name concerts and events, United Center is home to the 2015 Stanley Cup Champion Chicago Blackhawks hockey squad and the Chicago Bulls basketball team. Reserve a 40- or 80-person Super Suite that features a 1,000-sq.-ft. private lounge which can be converted into meeting space. Catering is provided by Levy Restaurants, and includes a full-service bar plus catering attendants. Eight LCD televisions are equipped with satellite and in-house video (available during Bulls and Blackhawks games only). 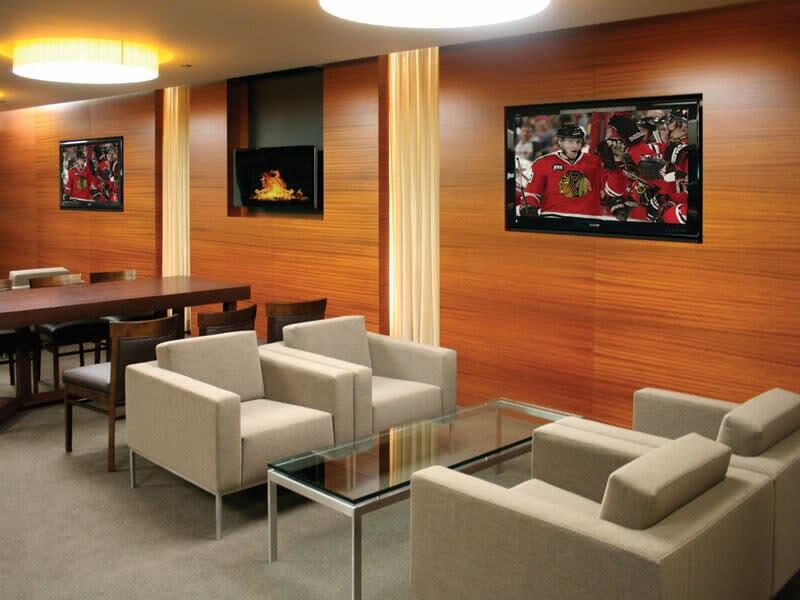 For smaller groups, the all-inclusive BMO Harris Club Suite includes 20 stadium-style seats, a contemporary lounge with fireplaces and LCD televisions, three large full-service bars, and access to a billiards table and Nintendo Wii. The lakefront Soldier Field is home turf for the Chicago Bears football team, as well as the site of huge outdoor concerts by mega-groups like The Rolling Stones. Book an Executive Suite and be wowed by the expansive wall of glass that allows panoramic views of the field, with operable windows that let you hear the roar of the crowd. Accommodating 20 guests, the Executive Suite includes an in-room hot buffet with a personal attendant, multiple flat-screen TVs, and complimentary Bears game day programs and roster cards. Additional package options include pre-game field tours and alumni Bears player visits.